Most people worry more about their cars when they are in an accident. While it is a valid concern, they are able to be repaired or replaced. Your body however, is more fragile and irreplaceable! Many people ignore their aches and pains hoping they will just go away. Sometimes they do, and sometimes they get worse. The sooner you can be examined and treated if necessary, the sooner you can get back to a normal life without pain, and reduce the risk of ongoing or future problems. 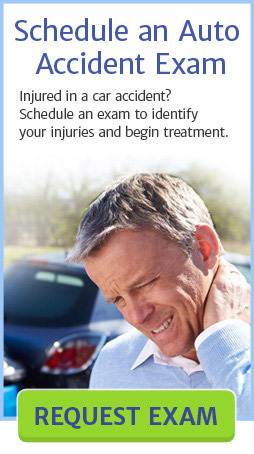 It is very important to have your injuries examined, documented, and filed immediately after a car accident. Florida is a No Fault state, which means you are entitled to medical coverage for your injuries regardless of who was at fault. Even if you were at fault. Once we are able to determine what has been injured and It’s severity, we will set up a treatment plan to get you back to pre injury status, or we may refer you for further diagnostic testing (MRI’s / CT scans), or to other medical professionals like orthopedists, neurologists, physical therapists, acupuncturists, massage therapists, and in worst case scenarios, a surgeon. We evaluate Car / Auto accident victims (even if you were at fault – Florida is a no fault state), and make any appropriate referrals to other health care providers if needed; including orthopedic doctors, neurologists, physical therapists, acupuncturists, massage therapists, and MRI centers. Sadly, there are people out there who seek treatment, and are not injured, for the sake of financial gain. If you are one of those people, please do not call our office. Unfortunately, there are also people who are legitimately injured, and are not getting the care they need. If you are injured – call us! We want to help you! Our office is located in the heart of Parkland in the Parkland Town Center. This is the same plaza as Pizza Time and Bluefin. We have been serving patients in the cities of Parkland, Coral Springs, Coconut Creek, Boca Raton, Deerfield, and Margate. We have gained such a reputation that we have patients that drive to see us from Boynton, and Aventura on a regular basis. If you work late, no problem. We have evening hours. 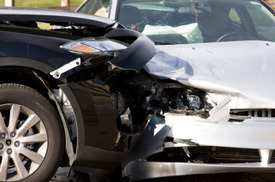 Since 2000, we have treated countless numbers of whiplash / auto accident victims just like you. We are staffed with the friendliest people you could ever meet who are all trained in handling the sometimes confusing paperwork that needs to be filled out to make sure that your rights are protected, and your injuries are properly documented. if you wait longer than 14 days after your accident, it may be too late to be covered under your auto insurance, call our office today to make an appointment to see if you can benefit from our care! We offer chiropractic, physical therapy, deep tissue trigger point therapy, and acupuncture. Don’t suffer with headaches, lower back pain, neck pain, headaches, whiplash injuries, muscle spasm, or worse. Questions? Concerns? Give Parkside Health & Wellness a call now and put your mind at ease.